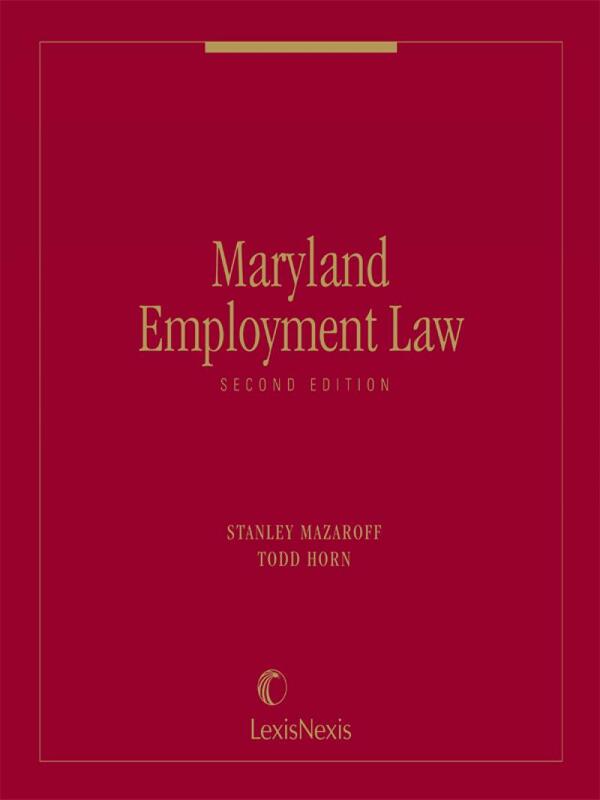 Maryland Employment Law, Second Edition is the first book to bring together and comprehensively explain three interwoven fields of employment law in Maryland - contracts, torts, and discrimination law. 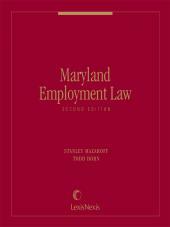 Maryland Employment Law, Second Edition is the first book to bring together and comprehensively explain three interwoven fields of employment law in Maryland - contracts, torts, and discrimination law. 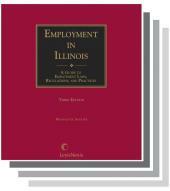 It gives lawyers and personnel professionals a quick and handy reference to the present state of Maryland employment law, and it provides litigators with a thorough analysis of each cause of action. In Lawson v. Bowie State Univ., ___ Md. ___, 26 A.3d 866, the Maryland Court of Appeals held that an employee does not lose protection under the Maryland Whistleblower Act merely because his motivation for reporting alleged misconduct of others was personal rather than based on a desire to correct wrongdoing. 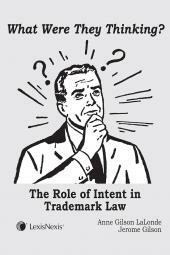 In Ruffin Hotel Corp. of Maryland, Inc. v. Gasper, 418 Md. 594, 17 A.3d 676, the Maryland Court of Appeals held that the plaintiff's negligent hiring claim -- which was based on allegations that she was terminated for making complaints of sexual harassment -- was not preempted by federal, state, or local anti-discrimination statutes. In Butler v. DirectSat, LLC, 800 F. Supp.2d 662, the Maryland Federal District Court held that plaintiffs' claim that they were entitled to overtime compensation could not be brought under the Maryland Wage Payment and Collection Act because they did not allege that their employer failed to pay them overtime on a regular basis or failed to make such payments upon the termination of their employment. 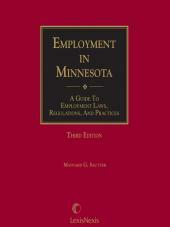 In Wal-Mart Stores, Inc. v. Dukes, ___ U.S. ___, 131 S. Ct. 2541, the United States Supreme Court held that plaintiffs could not bring an employment discrimination class action challenging promotion denials and pay disparities based on allegations that Wal-Mart gave local supervisors discretion over pay and promotion decisions. Stanley Mazaroff was a partner in the law firm of Venable, Baetjer & Howard and former chair of its Labor and Employment Law Department, where for over 30 years he concentrated on representing management, with special emphasis on all types of employment litigation. Repeatedly listed in The Best Lawyers in America, Mazaroff has been recognized by Baltimore Magazine as the leading employment lawyer in Maryland. As an adjunct professor, Mr. Mazaroff taught a course on employment discrimination law at Maryland Law School and regularly taught continuing legal education courses to members of the Maryland bar. He has also been a community leader, serving as chairman of the board of the Baltimore Urban League, chairman of the board of the Voluntary Council on Equal Employment Opportunity, and a member of the Governor's Employment and Training Advisory Commission. Mr. Mazaroff received his LL.B. from the University of Maryland Law School and his LL.M. from George Washington University National Law Center. Todd J. Horn is a partner with Venable LLP in Baltimore, Maryland. For over sixteen years, Mr. Horn has represented employers in the full spectrum of employment litigation and counseling, and has presented dozens of seminars covering state and federal laws that govern the employment relationship. Mr. Horn obtained his JD in 1987 from the College of William and Mary, Marshall-Wythe School of Law, and is a member of the bars of Maryland, the District of Columbia, the United States Supreme Court, and the United States Courts of Appeal for the Third, Fourth and District of Columbia Circuits.